I’m on a butterfly kick. This stamp is from Inkadinkado – Gem Stone Insects. 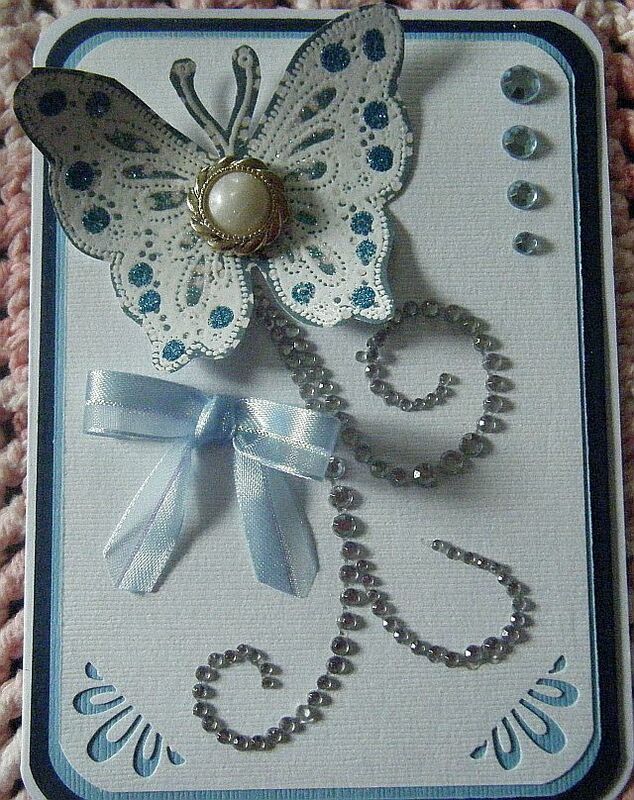 I heat embossed it with Bright White embossing powder and added a trail of bling and some stickles. Here it is at another angle…. 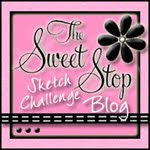 I love this stamp set by Stampin’ Up! 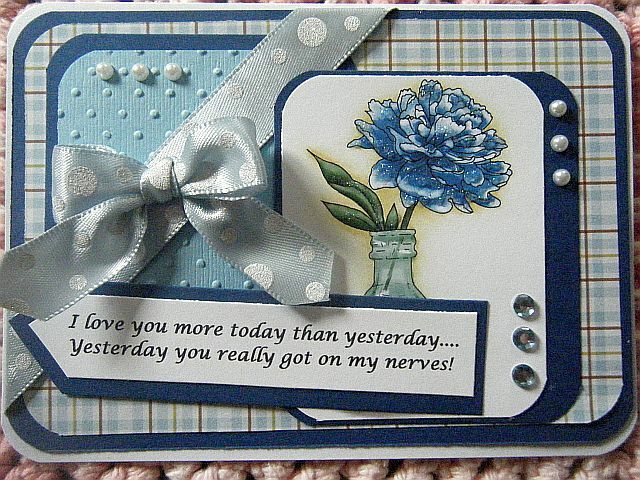 Heat embossed with bright white on colored paper, it turns out perfect every time! 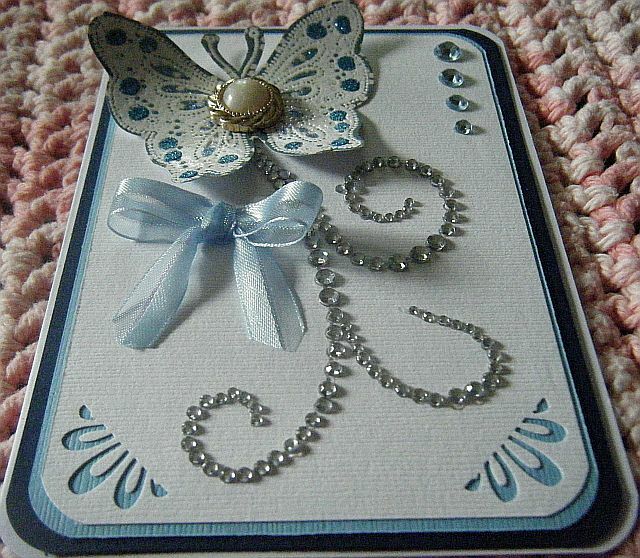 The silver swirl is also heat embossed using Stampendous Silver Tinsel. The boarder punch is by Martha Stewart. 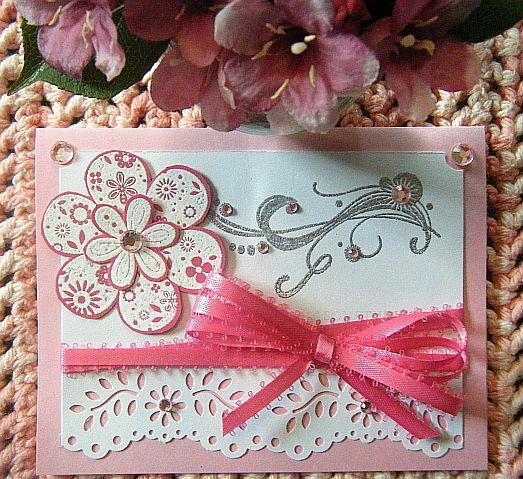 The paper the flower is embossed on is Melon Mambo also by Stampin’ Up!